With the Fall season approaching every motorcyclists dreaded fears come to fruition. The end of summer days, dangerously leavy roads and rainy weather. For the courageous few who still ride in the cooler autumn temperatures REV’IT has developed the all new Orlando H2O and H2O Ladies jeans. It’s in REV'IT’s DNA to create and develop motorcycle gear for the rainy and chilly fall weather given that they are out of the Netherlands, a country known for treacherous autumn weather. The REV’IT! Orlando H2O jeans truly aim to protect you from the rain with its all new construction featuring hydratex 3L Pro laminate that is both waterproof and breathable. The outer shell of the pants has polyamide reinforcements in the areas (knees and the seat) prone to impacts. In addition, the Orlando H2O jeans will include a CE level 1 knee protectors. If absolute protection is a must for you, consider upgrading to also the optional Tryonic Seesoft CE Level 1 type B hip protectors. 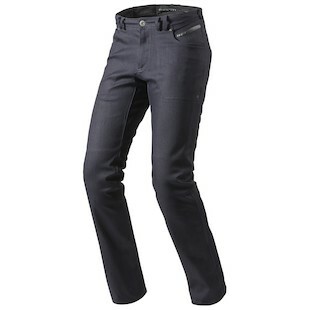 For the special lady in you life, REV’IT has also developed the Orlando H2O Ladies jeans. Similarly the REV'IT! Women's Orlando H2O Jeans will have reinforced chassis in the impact areas with the PRW | shield polyamide fabric. The jeans will also include CE Level 1 knee protectors with the Tryonic Seesoft Ce Level 1 type B hip protectors being available as an optional upgrade. 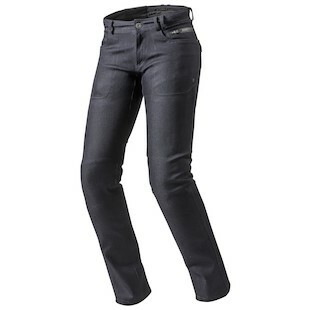 The jeans’s outer shell also incorporated the waterproof and breathable hydratex 3L laminate. Both jeans will have triple needle stitching at side seams and back rise for extra safety and durability on and off the bike. The regular tapered fit of the men's and ladies Orlando H2O jeans will be keep you fashionable and protected once you jump on your scoot. For the brave few who venture out on two wheels you can safely bet on these waterproof yet still breathable jeans from REV’IT!. The end of the hot summer days does not have to mean the end to riding. There is no bad weather for riding only inadequate moto apparel. You can bet on being comfortably protected by the Orlando H2O jeans.